The first one is Le Saint Barth (link in English) in Marseillan and the second one is Joséphine en ville a Maison d’Hôtes just a few minutes walk from Montpellier city center. These two different spots have one thing in common ; they are both owned and very well managed by two couples with a lot of savoir faire. So first, Le Saint Barth, a place for excellent sea shells in an exquisite place on the étang de Thau. The Ets Tarbouriech are very well known for their excellence and quality in their sea food production. There you can choose your “plateaux d’huîtres spéciales Tarbouriech” or “brasucades” served with top local wines, you can have a drink on the wooden dock or a handmade dessert in the wooden hut with a view… and what a view ! 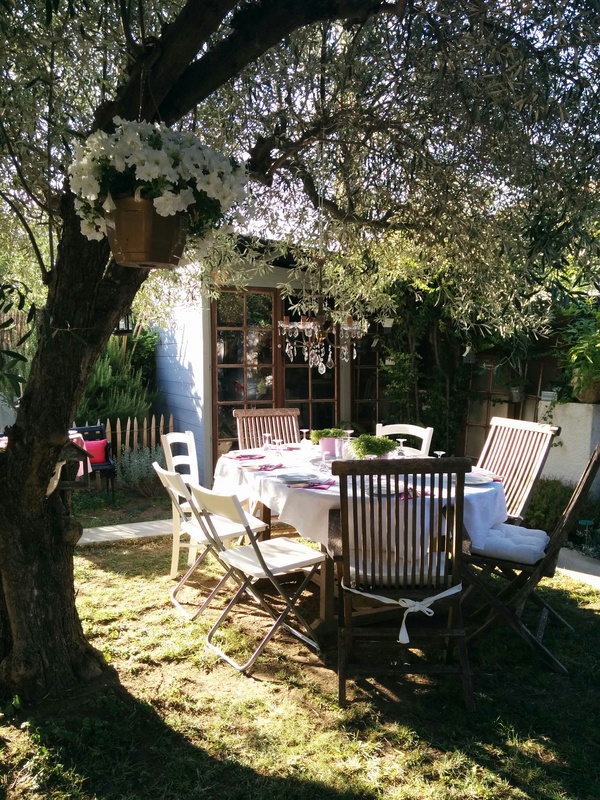 Joséphine en ville, (that’s the second top address I share with you) a charming Maison d’Hôtes hidden in a garden very close from the city center in Montpellier. You will find there a house with a lot of vintage items and two rooms (one double room and one en suite room) decorated with such an elegance by Franca. During these warm and sunny days breakfasts are served under the old olive tree. There again Franca et John are such a nice and welcoming couple ! In their garden I have held my last Apéro Blogueurs Montpellier (a bloggers monthly rendez-vous in Montpellier), bloggers just found that moment gorgeous ! We have been treated like prince(ss) ! This is my second English post, please help me to bring you good news from Montpellier and around by leaving a comment just here ! See you !